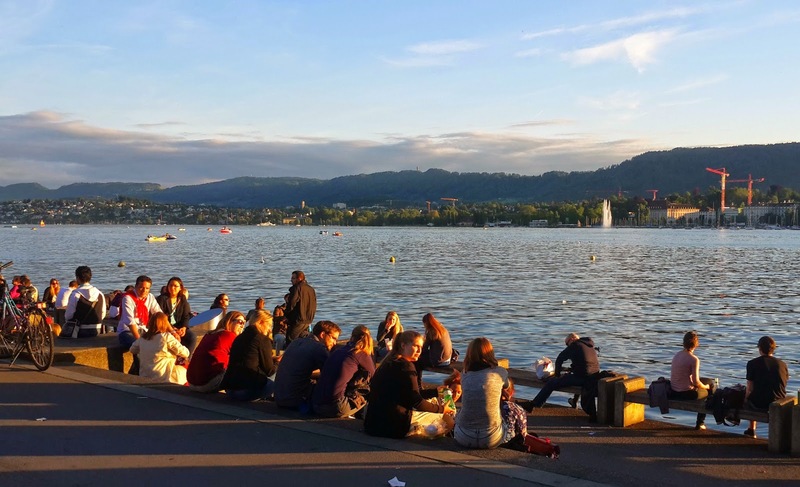 Zurich is one of the costliest places in the world to live and hence finding a budget friendly hotel, with all the basic amenities, and closer to the main attractions, may not be the easiest task. 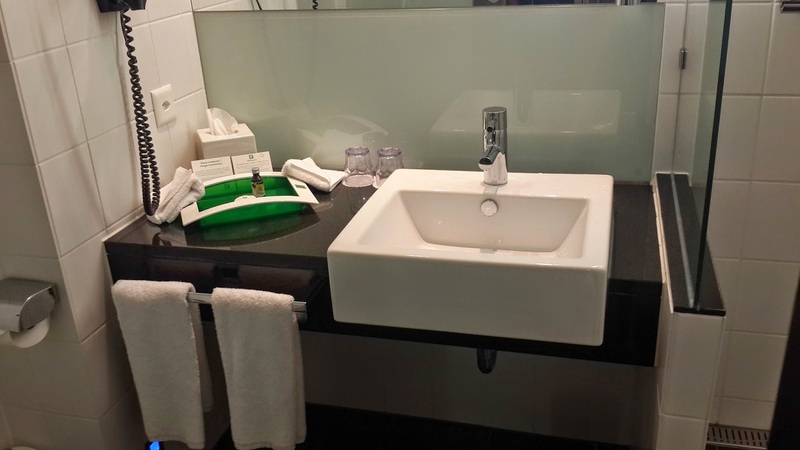 So after a lot of research and reading some great reviews on TripAdvisor by my hubby, we booked the Holiday Inn Zurich for 2 nights. We had booked the King Bed Guest Room and the room had free Wi-Fi Access. 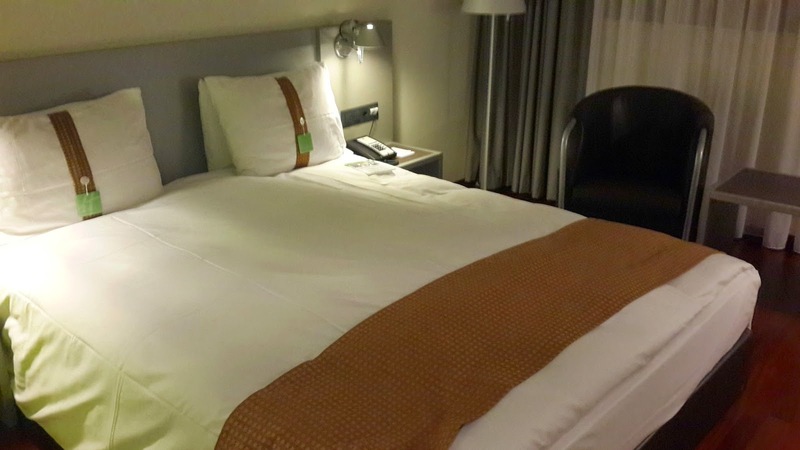 The room was large and comfortable and had all the basic amenities that a budget hotel usually has . The only downside that we noticed during our stay was that the Air conditioner did not work sometimes which made it a little uncomfortable. However the front desk was really helpful in resolving the issues. The breakfast was complimentary and included along with the room. The breakfast spread was good and we enjoyed our breakfast on both the days. 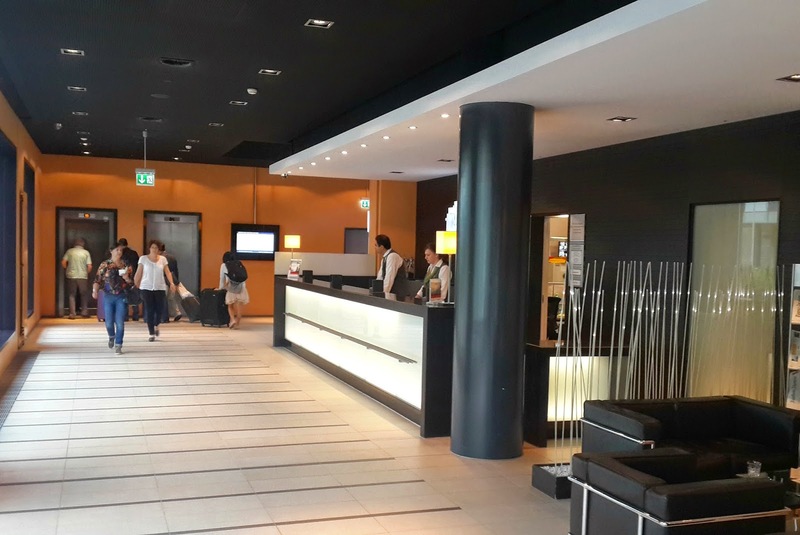 Holiday Inn Zurich is located conveniently located just a 5 minute walk from Zurich Oerilikon station and 15 minute tram ride to Zurich Hauptbahnoff station ( Zurich’s main station ). Zurich Hauptbahnoff Station is 15 minute tram ride away. 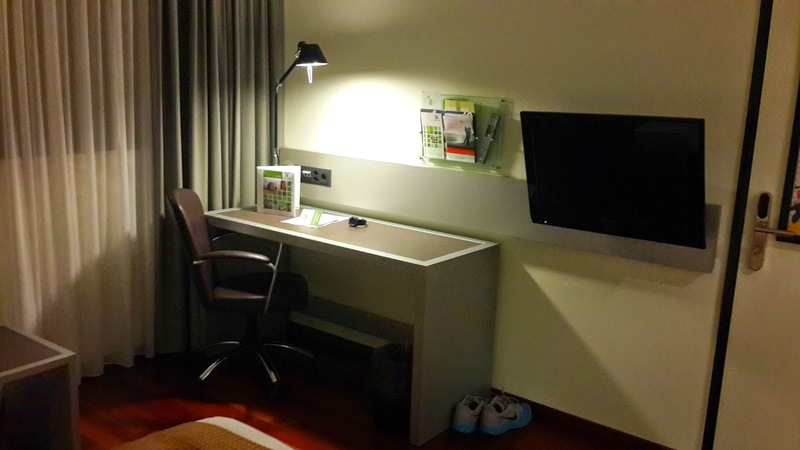 Holiday Inn Zurich is a really good budget hotel that we would recommend for a short stay in Zurich. I have heard a quote somewhere that nothing in this world is certain, other than death and taxes. Well probably the person who made the quote never has used the Swiss transport system, for if he had done, he surely would have included it to the list of certainties. 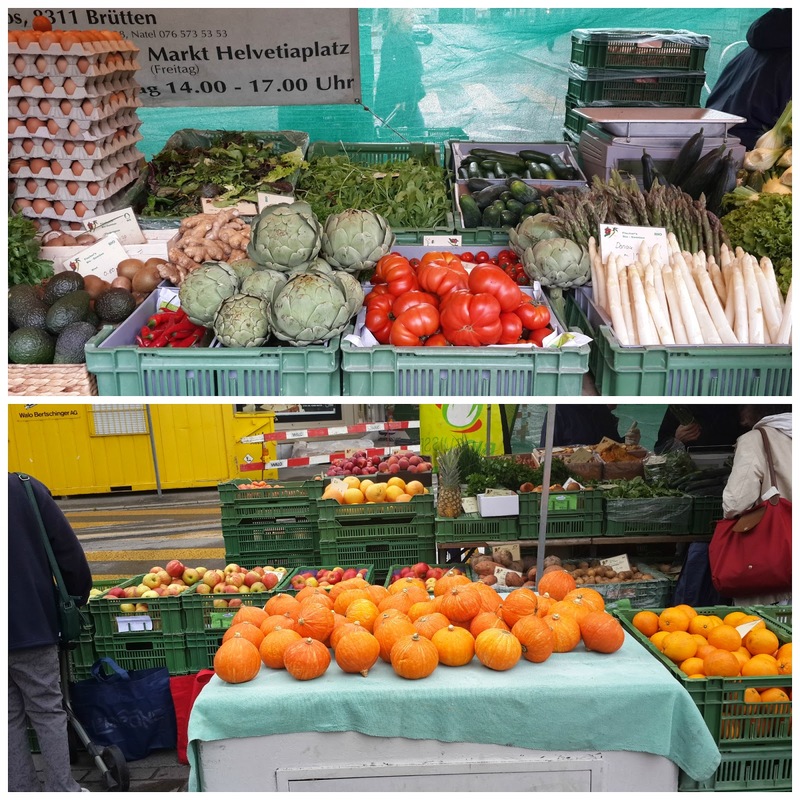 After travelling for 8 days extensively using the Swiss Trains,trams,buses and ships, we can say that travelling in Switzerland is a breeze and a joy. 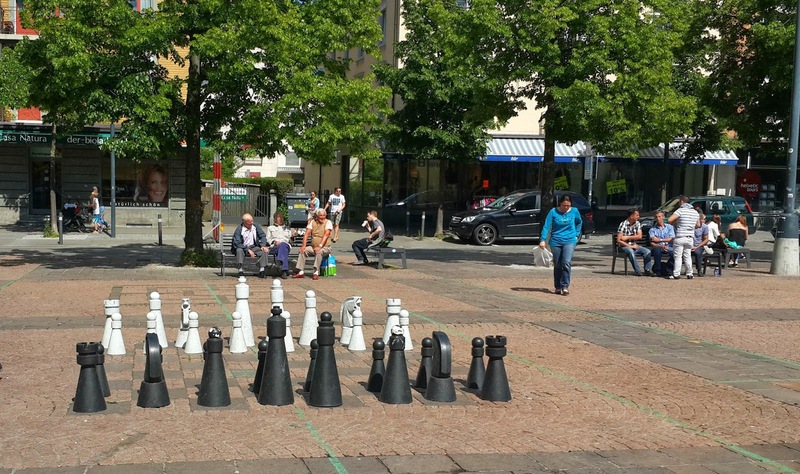 · The 2 common Swiss Passes are the Swiss Pass and the Swiss Flexi Pass.These passes are ideal for travelling within Switzerland and give you unlimited access to the Swiss Travel network for a limited period of time, while also giving you free access to large number of museums. Swiss Pass : Swiss Pass is available for 4, 8 15 and 22 days and is ideal for people who are staying for longer duration in Switzerland. We were a family of 6 and we took 2 Swiss Adult Passes , 1 Swiss Youth Pass and 1 Swiss Family Pass ( all for 8 days ) . Swiss Family Pass covers any child under 16 years. Separate ticket need not be taken for the child if travelling with at least 1 parent. Tip : Swiss Pass can be used only for 4, 8, 15 or 22 consecutive days. One cannot be flexible with the days of travel. 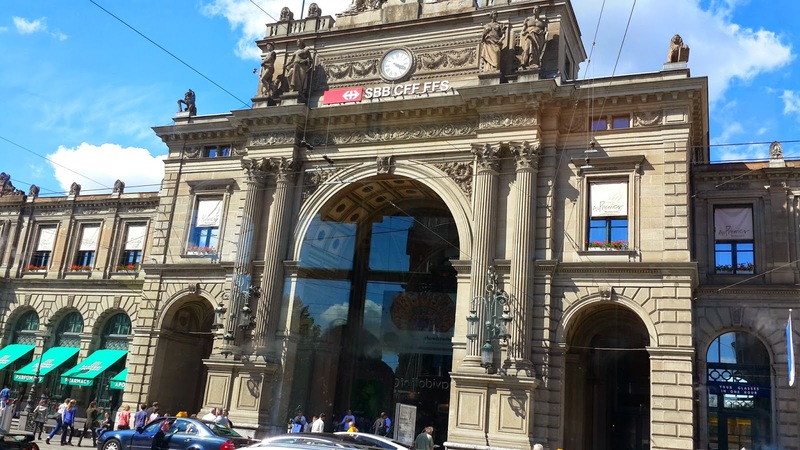 Swiss Flexi Pass : Swiss Flexi Pass has the added advantage of giving access to Swiss Transport Network on a fixed number of non consecutive days. 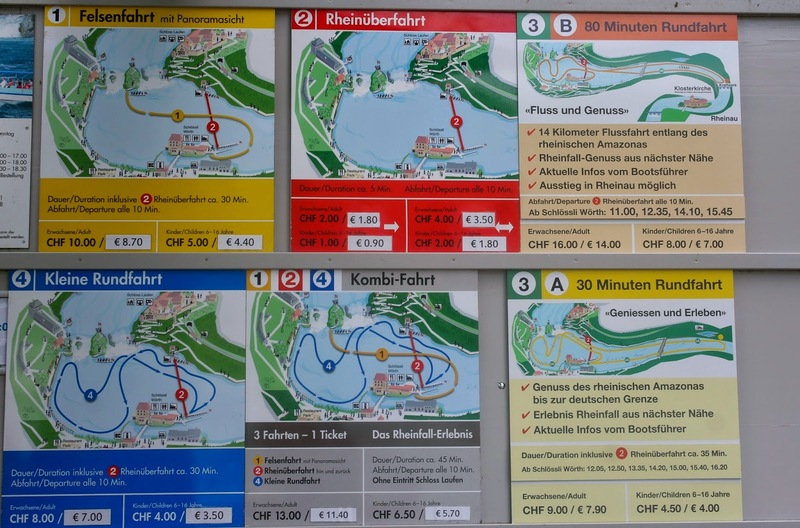 We had read in a lot of sites that the Swiss Pass needs to be validated before our first journey to ascertain the period in which the pass will be valid. We validated our Swiss Passes on a Saturday and the Swiss Pass was valid till next Saturday till midnight. We validated our Swiss Pass at Zurcih Oerlikon station and we had to provide our passports at the office for verification. The whole process took 20-30 minutes. No trip to Zurich is complete without taking the trip to the Rhine Falls, which is a short train ride from Zurich. 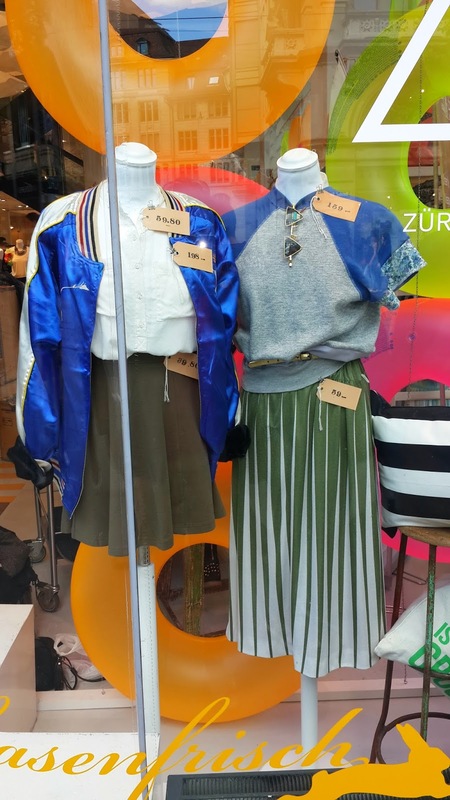 · How to get there ? 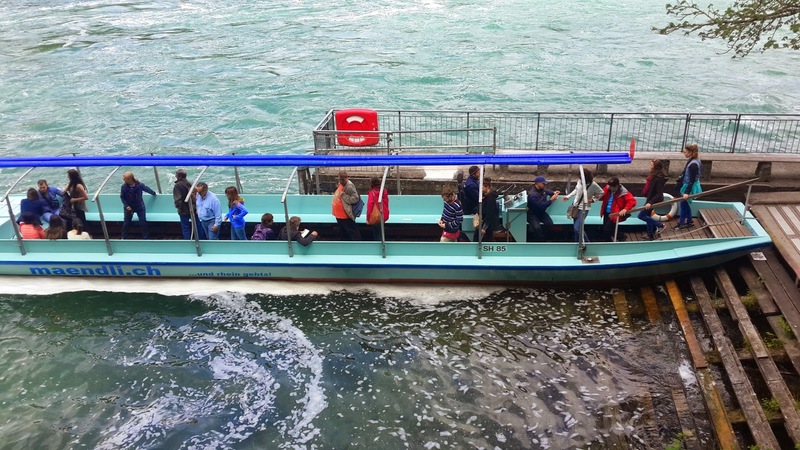 The fastest way to reach Rhine Falls from Zurich is by train. Train time tables can be got from sbb.ch. 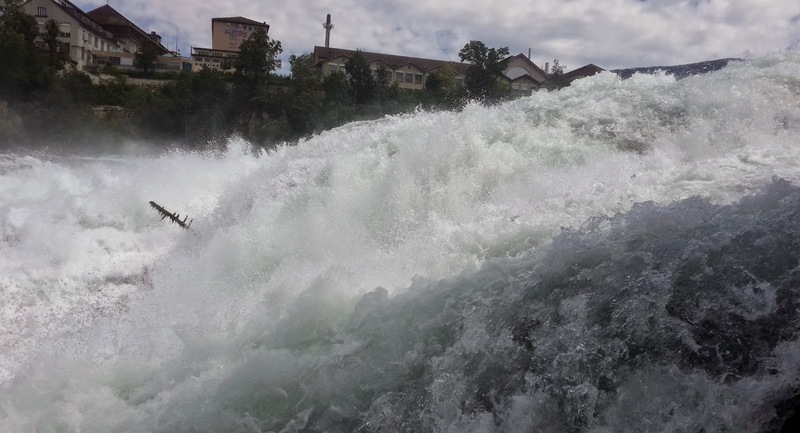 What to do at Rhine Falls ? 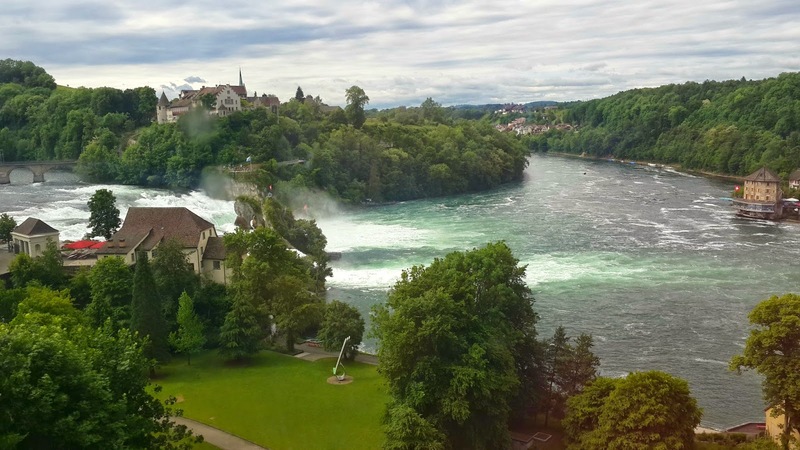 Once you reach the Rhine Falls the whole area can be divided into 3 areas . You can arriving at either of the shores and other 2 areas are accessible by boat. 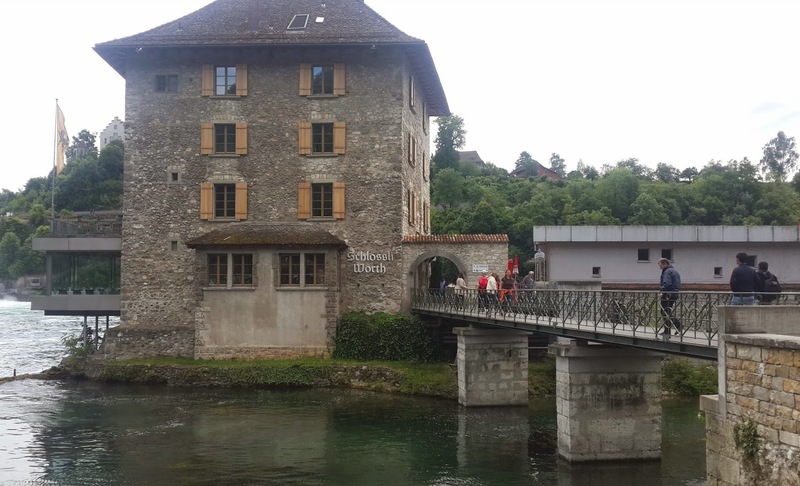 From Schaffhausen, you can opt to walk along the river to Neuhausen or you can take the #1 or #6 bus from Schaffhausen Bahnoff to Neuhausen. 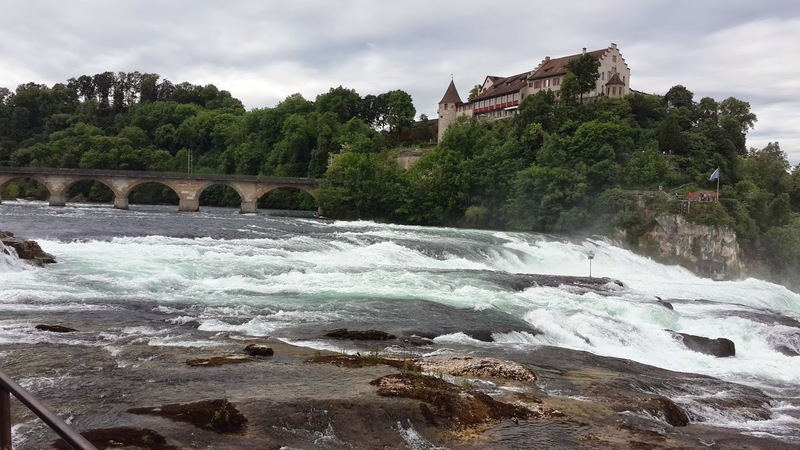 From here, the Rhine Falls are just a five minute walk away from the bus stop. We arrived at the Schlossi worth side of the Rhine Falls is a little distant away from the falls, but still offer beautiful views. There was a beautiful walk away with a few shops and benches where one can sit back, relax and enjoy the views of the Rhine Falls. Schlossli Worth Side of the Rhine Falls. 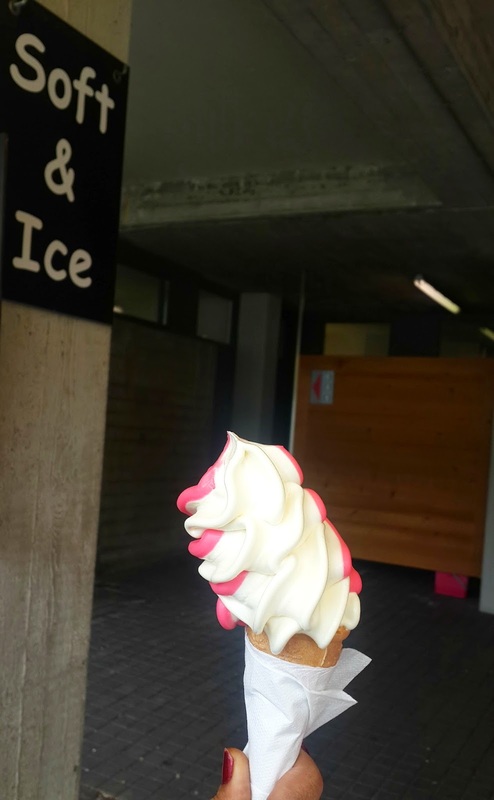 How about a softy while you enjoy the views ? Various options to get to the other side or the middle island. Middle island , as the name suggests, is a rock right in the middle of the falls with a boat docking spot and stairs that take you to the viewing point. The stairs are steep and very narrow and when we went it was quite crowded. The middle island. It can be reached only by boat. This according to us was the best place to experience the falls. 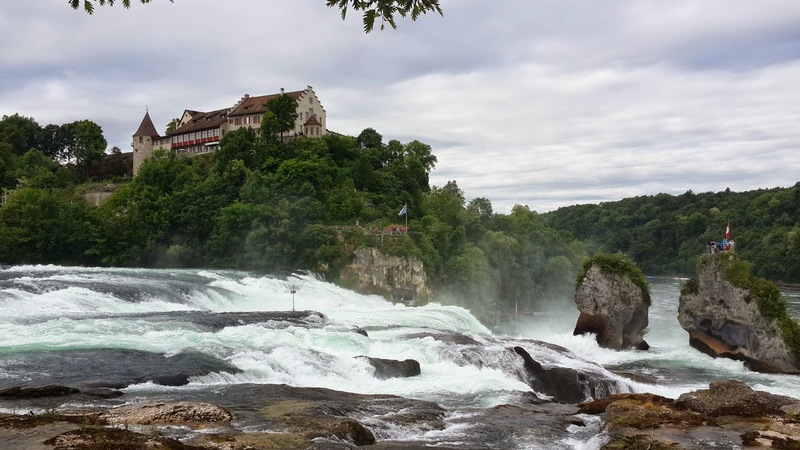 There is a castle placed adjacent to the Rhine Falls with a viewing point where you could almost touch the water. 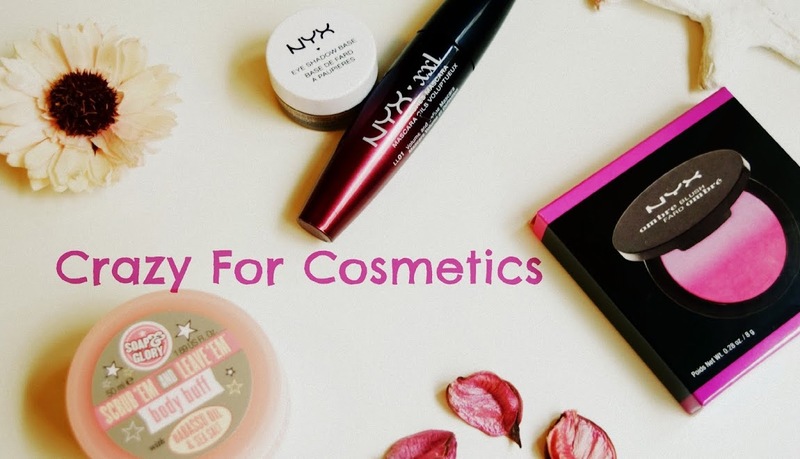 Though you have to pay extra for the same, it is really worth it. 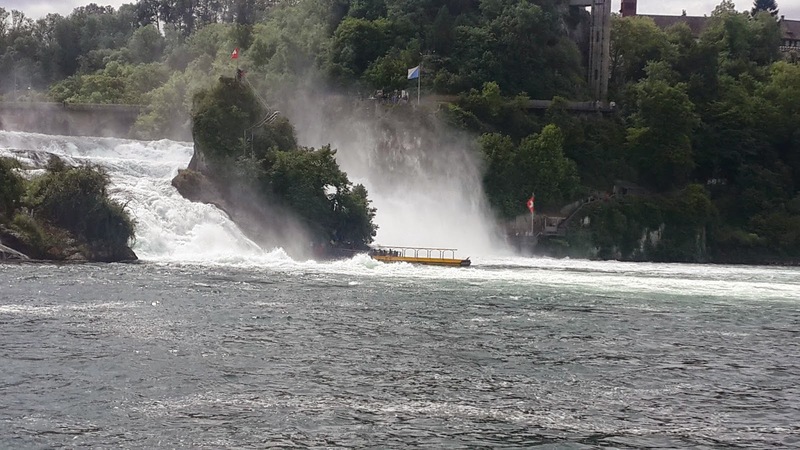 · How to get there from Rhine falls ? From SchaffHaussen we took the Regional Express train (which is the fast train ) back to Zurich Oerlikon station. As you exit Zurich Oerlikon the tram stop Zurich Sternen Oerlikon is just a 2 minute walk from the station. 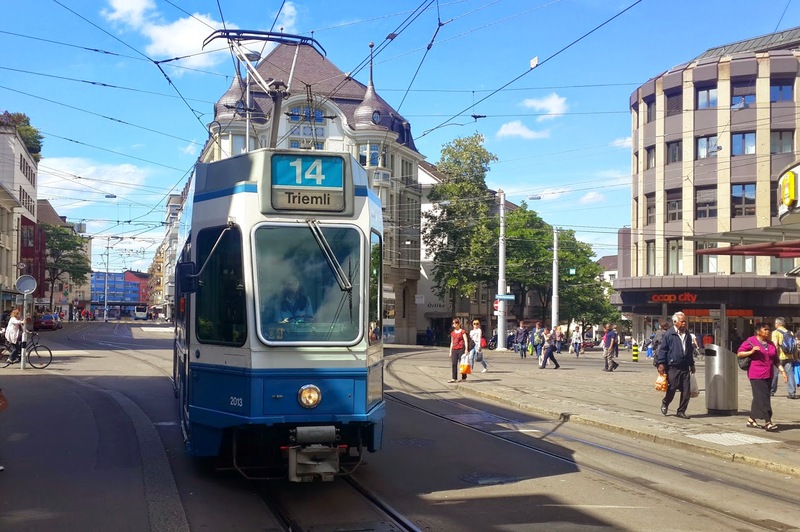 We took Tram No 14 towards Zurich Tremli and 12 stops ( 18 minutes later ) we got down at Zurich Lowenpltaz which was a short walk away from Bahnoffstrasse. 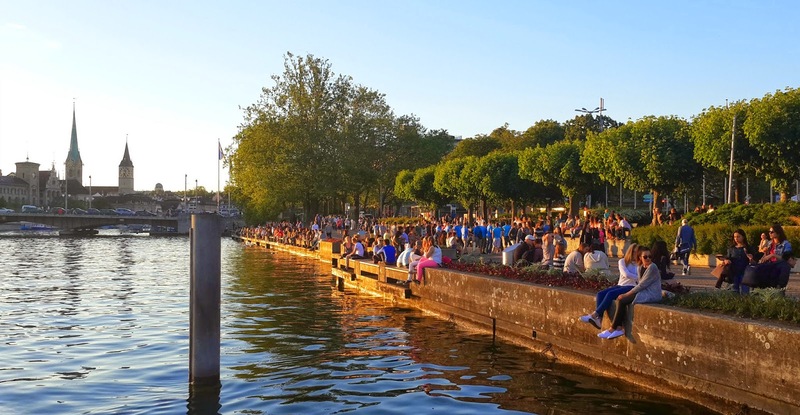 Just a short tram ride away from Bahnoffstrasse and the Old town of Zurich is the Zurich lake front. 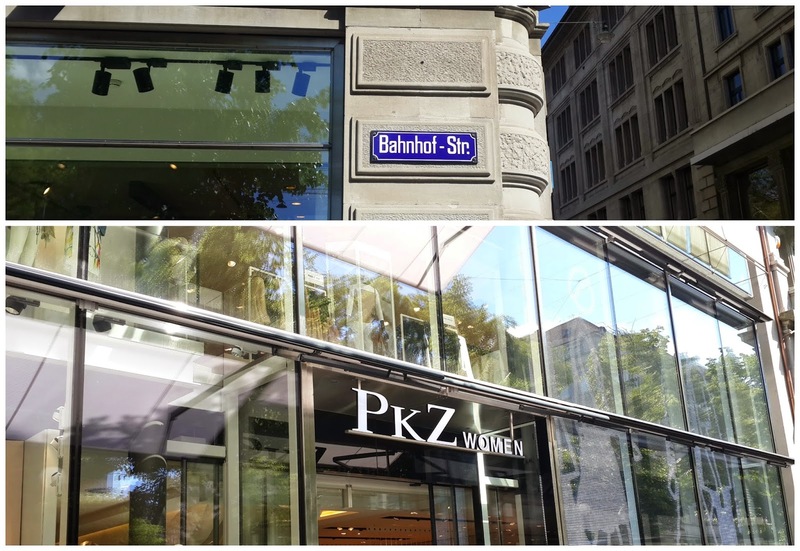 You can take the tram 14 from Bahnoffstrasse and got down at Zurich Burkiplatz ( stop for the Zurich Lake front ). 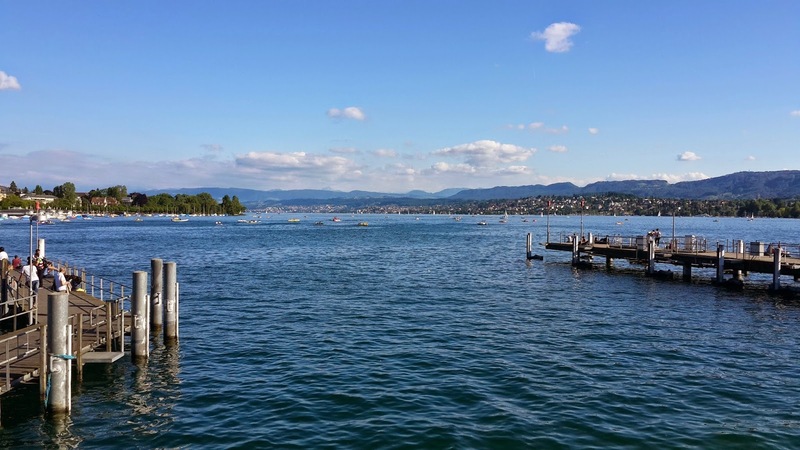 There are short , medium and long round trips one can take from the Zurich Lake front to explore this area. Short round trip that we took was 90 minutes long and there were cruises every 30 minutes. 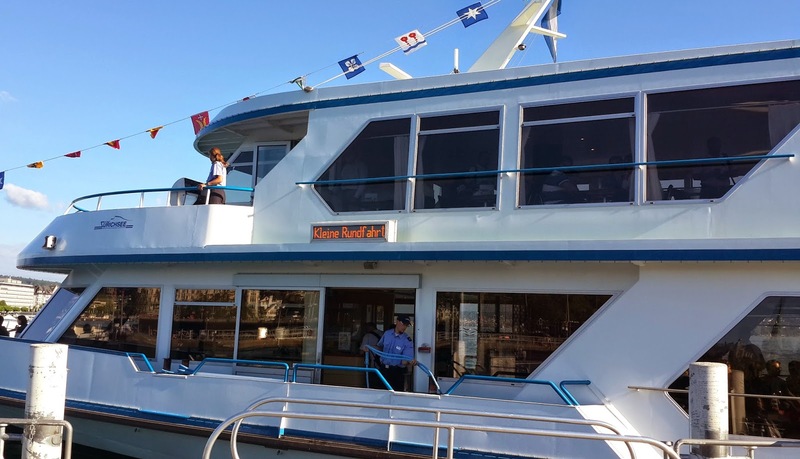 If you have time and want to explore the surrounding areas you can take some of the longer cruises and hop on / hop off at places that you fancy. 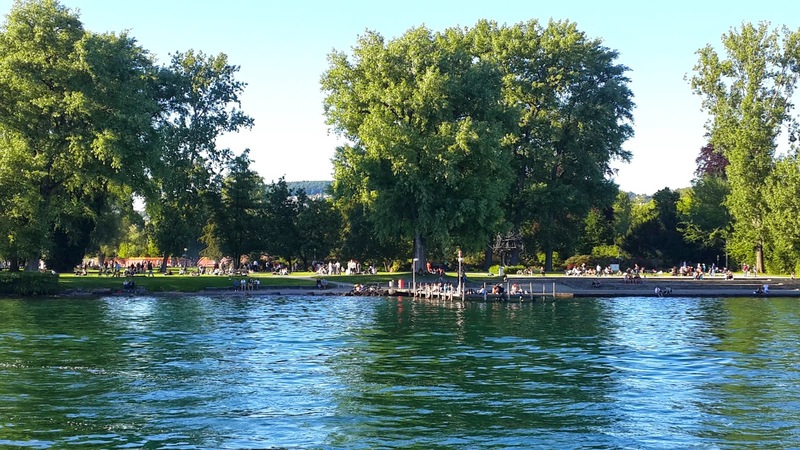 There are lot of beautiful lake side parks to sit back and relax while enjoying the views. 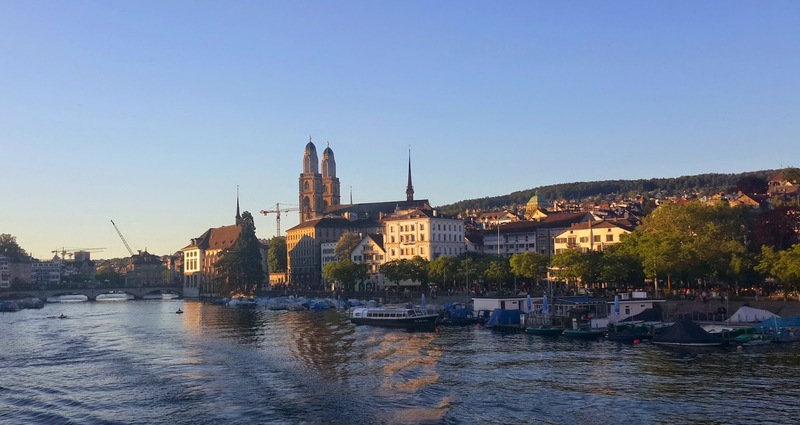 Tip : Zurich Lake cruise is complementary on the Swiss Pass with cruises from Zurich Lake front. After our lake cruise we took the tram 11 towards Zurich Auzelg that took us directly back to Zurich Sterner Oerlikon , a 5 minute walk away from the tram station. Malabar at Zurich is an authentic Indian restaurant that specializes in South Indian ( Kerala ) cuisine. We had read great reviews on tripadvisor and had reserved a table online. 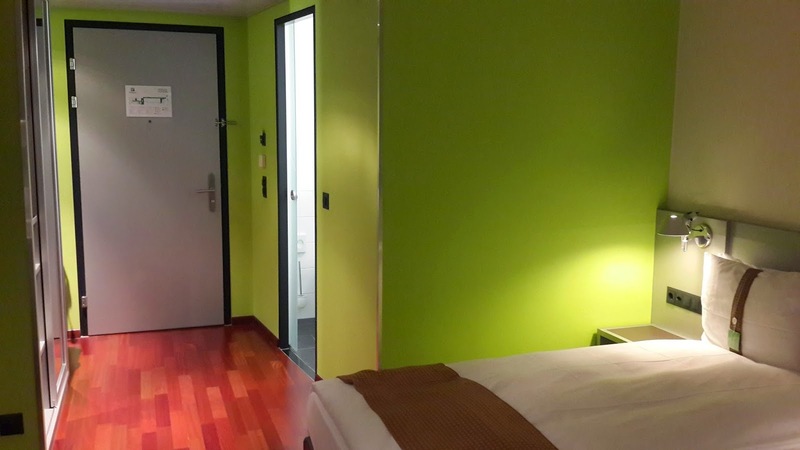 The hotel is short walk away from Holiday Inn, Zurich. All the dishes that we tried were excellent, though a little pricey. We were 6 of us and it cost us CHF 220 for dinner. 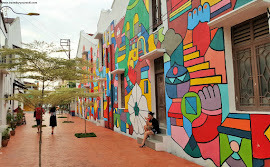 Overall it was a great experience and a restaurant that we would recommend.